Year after year, Melbourne ranks as one of the best places in the world to live in Mercer's Quality of Life survey. The survey measures dozens of variables, from culture and job prospects, to safety and quality of healthcare. However, one of the main reasons Melbourne is such a great place to live isn't so easily measurable. We're talking about how different the city is from suburb to suburb, and how you can feel like you're in a different world after driving for 10 minutes. This amazing variety means that there's something for everyone here. With that in mind, here are three of our favourite Melbourne suburbs – each with a completely distinct look, feel and lifestyle to offer. There's an area in Melbourne to suit everyone – from the excitement of Brunswick to the nature in Sunbury. 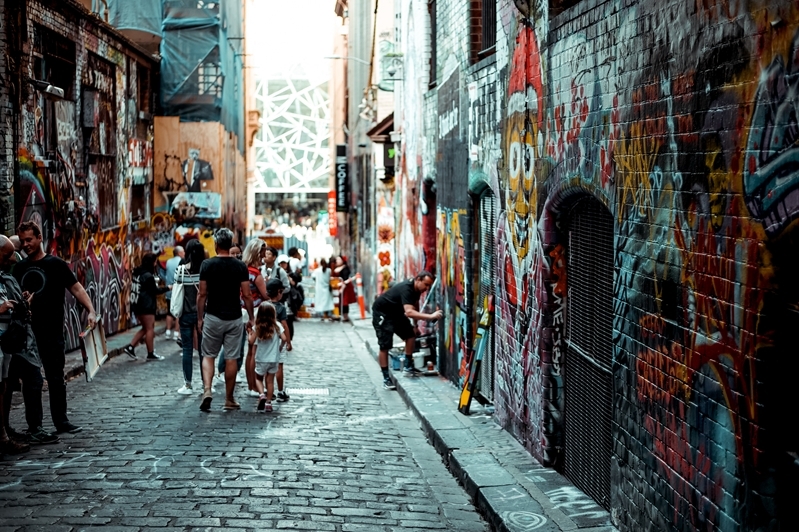 Just 4 km from the heart of the city, Brunswick is one of the most diverse, lively and fascinating areas of Melbourne. Lygon Street has been a hub of Italian food and culture for over a century, and in 1950 its was famously home to the first espresso machine in the country. Today that food and cafe culture has spread throughout the suburb with Sydney Road offering the city's best Mediterranean and Arabic cuisine. Breweries and bars are also popping up all the time, and the commute into the city is near-instant. That means the Brunswick lifestyle is perfect for those who want to be close to the action. Sunbury offers all the convenience of city living in a beautiful country environment. If you want to be near the noise but not in it, Caroline Springs is a great location – sitting just 25km out of Melbourne's centre. It's a relatively new planned community that's filled with manmade lakes, parklands, public art and modern homes on generous blocks of land. The area is known for being family friendly, with quality schools and a new public library. It's also got countless cafes and great shopping so once you're out here there's no need to make the short drive back in to central. Sunbury offers all the convenience of city living in a beautiful country environment. It's one of Australia's oldest wine regions and a patchwork of vineyards cover its open fields, improving the regions already stunning natural beauty. The friendly locals and great cafes don't hurt either. Sunbury's house prices here rocketed up by 23 per cent over the last year, according to Residex Data. Despite that huge growth the average home goes for a still-affordable $509,000. If you're buying Melbourne property Sunbury, Caroline Springs, or Brunswick could be prefect for you. Get in touch with an agent at your local Brad Teal office to start your search.